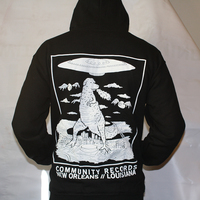 Dogzilla takes over New Orleans in an effort to keep everyone safe and warm this winter. 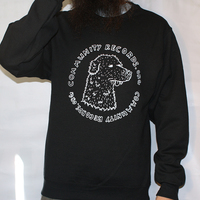 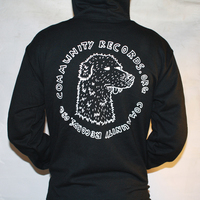 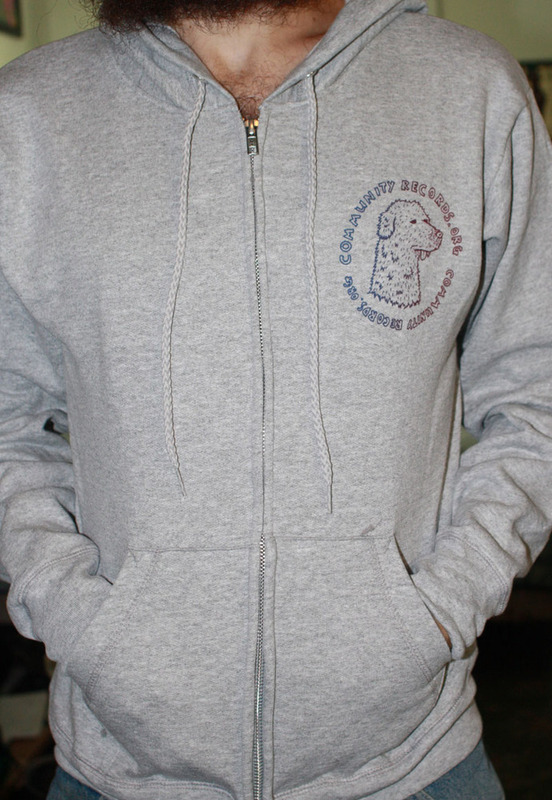 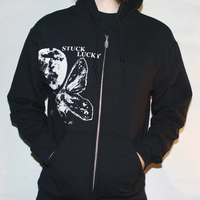 Super large Dogzilla print on the back of the hoodie and the Com Rec dog logo on the left breast. 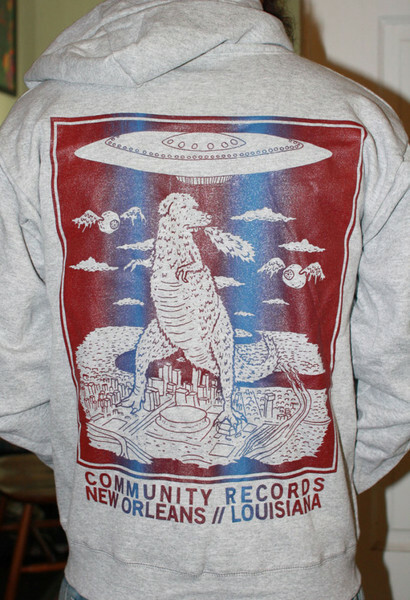 Both images are printed with a mixture of blue and red ink because when is just one color enough? Printed by our good friend Jared at Leave Your Mark Printshop.